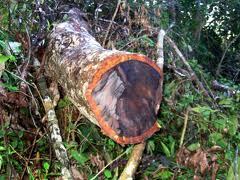 History - This wood has a strong sweet smell, which persists over the years, explaining the name "Rosewood". Effects on the Mind - A great antidepressant, Rosewood is a comforting and warming oil which has a balancing effect on the central nervous system. Effects on the Body - Excellent for alleviating tiredness, lethargy and exhaustion. Is also well-known as being an aphrodesiac. Blends Well With - most oils, especially citrus, woods and florals. Reward Points 7 points will be rewarded to you when you buy this item.